Dairy Herd Management summarized my breakout session talk at the Four-State Dairy Nutrition & Management Conference in Dubuque, Iowa on June 14, 2018. Many factors affect twinning in dairy cows, but milk production and progesterone at the beginning of timed AI protocols that include a second prostaglandin treatment are two primary factors. 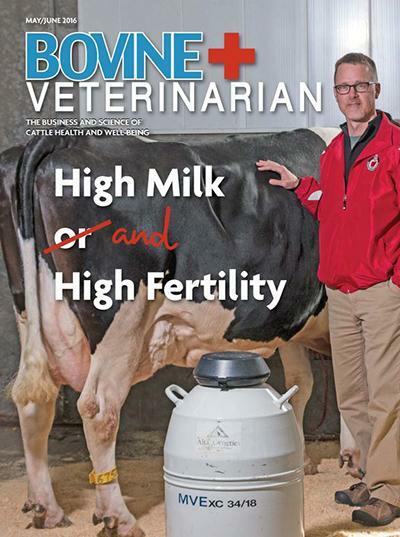 I made the cover of the May/June issue of Bovine Veterinarian magazine. Looks like we can have high milk production AND high fertility in lactating dairy cows. 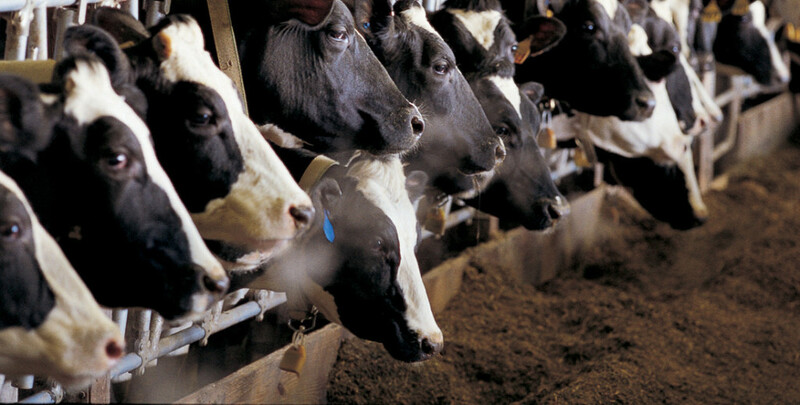 The 2016 Four-State Dairy Nutrition and Management Seminar will be held on June 15-16 at the Grand River Center in Dubuque, IA. The final brochure of the program including a registration form can be downloaded here. I will be presenting on Thursday morning. This program is a collaborative effort of Cooperative Extension members from Iowa State University, the University of Illinois, the University of Minnesota, and the University of Wisconsin. The Spring 2016 issue of Grow Magazine featured my work at the University of Wisconsin-Madison on reproduction in dairy cows. You can read the article online here. I will be speaking at the 2016 Four-State Dairy Nutrition & Management Conference in Dubuque, IA this year on Thursday morning, June 16. The 2016 conference runs from June 15-16 and includes both pre-conference and Post-conference symposia this year. You can download an overview of Four State Program by clicking on the embedded link. The program is sponsored by the Four-State Dairy Extension group including members from Iowa State University, the University of Illinois, the University of Minnesota, and the University of Wisconsin-Madison. Registration brochures will be sent in April. An article I wrote entitled “Timing is Everything in Pregnancy Diagnosis” has been published in the October 25, 2015 issue of Hoard’s Dairyman. The article describes results from a recent research trial in which we assessed factors affecting levels of pregnancy-associated glycoproteins in blood and milk during early pregnancy and their implications for nonpregnancy diagnosis in dairy cows. I had the opportunity to address the dairy practitioners attending the American Association of Bovine Practitioners annual meeting in New Orleans, LA on Saturday, September 19. The title of my talk was: “Double Vision: Management of Twinning in Dairy Cows.” I have uploaded a draft of my proceedings paper as well as a pdf of my slides under the Extension tab on this site. Let me know what you think!